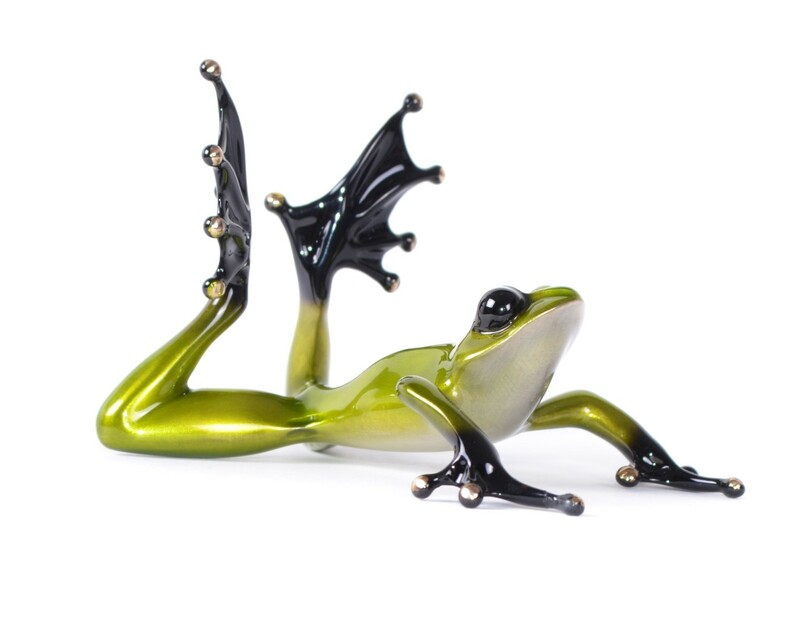 Tim Cotterill’s UK Christmas frog this year is an edition variation of Sunbather. Spruce is a gorgeous frog with a sleek green silver nitrate patina and is expected in 2 weeks. This entry was posted in Bronze Frogs and tagged tim cotterill by Bronze Frogs. Bookmark the permalink.